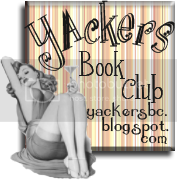 Michael Vyner recalls a terrible story, one that happened to him. One that would be unbelievable if it weren't true! Michael's parents are dead and he imagines that he will stay with the kindly lawyer, executor of his parents' will ...Until he is invited to spend Christmas with his guardian in a large and desolate country house. His arrival on the first night suggests something is not quite right when he sees a woman out in the frozen mists, standing alone in the marshes. But little can prepare him for the solitude of the house itself as he is kept from his guardian and finds himself spending the Christmas holiday wandering the silent corridors of the house seeking distraction. But lonely doesn't mean alone, as Michael soon realises that the house and its grounds harbour many secrets, dead and alive, and Michael is set the task of unravelling some of the darkest secrets of all (blurb courtesy of Amazon). A while ago, I reviewed a book that was touted as a mix between Wilkie Collins and The Woman in Black – as Collins is one of my favourite writers and The Woman in Black is one of the most terrifying books that I have ever come across, I had expected great things from the title and it was a crashing disappointment (although not necessarily a surprise) when it didn't live up to the description. That very same description could easily have been used on The Dead of Winter – except this time it would have been 100% on the money, because The Dead of Winter has a distinct tone of Collins in its narrative style and gives The Woman in Black some stiff competition chill wise. The books starts, as all good ghost stories should, in a gloomy cemetery where protagonist Michael is burying his mother. It sets the tone of the novel perfectly as Michael is told (at the graveside, of course) that he is to go and stay with his new guardian, Sir Stephen, on his country estate. Reluctant to stay with a man he has never met (and who was, accidentally, responsible for his fathers' death) Michael acquiesces only when it is explained to him that he need only spend Christmas with Sir Stephen before being sent off to boarding school. Michael is the perfect narrator. Grieving his much adored mother, his anger being shunted off to a strange country house is palpable as is his frustration at his lack of control. Still, while seemingly quite mature (I have no idea what age he is meant to be, but he refers to himself as a child), when left to his own devices his boyish desire to explore Hawton Mere (Sir Stephen's house) never seems out of keeping with his continuing grief and neither does his innocent delight at the years' first snowfall – one of the lighter moments in a fairly dark story. Hawton Mere itself is a bit of a triumph of storytelling. As much a character in this story it's looming presence overshadows everything. Standing on its own, in the middle of flat marshland it is an imposing figure and the detail that it has been written in is a real pleasure to read. I think that many writers underestimate the power of a frightening house, but Chris Priestly has not and his creation reminded me of every haunted house story that terrified me as a child. 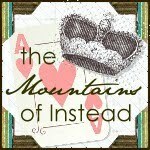 To talk about the plot at any length would be to ruin the story for those who have not read it, so I won't. I will, however, mention the writing. The Dead of Winter is a classic ghost story and is written in that lovely clear, concise manner of the Victorian period in which it is set – always a joy to read. From the grim London Cemetery of the first few pages to the darkness of Hawton Mere and its lonely moors, the story is incredibly atmospheric and the build in tension as the story reaches is climax is excellently wrought. It brought to mind so many stories that I love, not only The Woman in Black but also The Signalman, The Turn of The Screw and towards the end even The Tell Tale Heart and The Raven. Also, it's set at Christmas and everybody knows that the best ghost stories are always set at Christmas. Curl up in front of the fire with a glass of something and a blanket, grab this book while the wind howls outside your window and prepare to be frightened. Yet, while you may jump, I can guarantee that you will do so with a huge smile on your face – because, more than anything else, The Dead of Winter is an absolute pleasure. 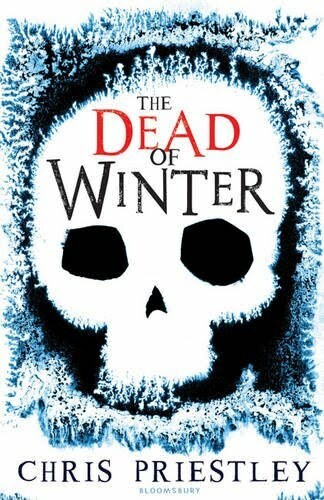 The Dead Of Winter is out on October 4th 2010 - thanks to Bloomsbury for sending me this title to review. I am so glad that you loved this one. Leanna is sending me a copy of this book, and even though I was excited about it, I was also a little nervous because I haven't seen many reviews for this one. I love gothic, atmospheric novels - and if it's a ghost story, then all the better. And yay for it beginning in a cemetery. I do seem to have a penchant for that too. I'm looking forward to reading this one. Especially after reading your fabulously detailed and well-thought out review. I am *so* definitely going to read this one. I'd already set my heart on it after reading another review (that in itself had me thinking this one would be evocative of The Woman in Black and The Turn of the Screw, actually!) and now your review has completely got me in mood for it. I love scary stories and from everything you've said this book includes a lot of the things that make me love them. Excited!